LC-LC female-to-female duplex fiber coupler. 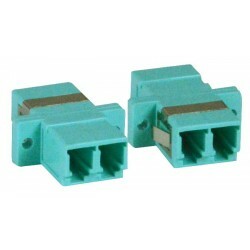 Duplex multimode connectors with ceramic alignment sleeves. 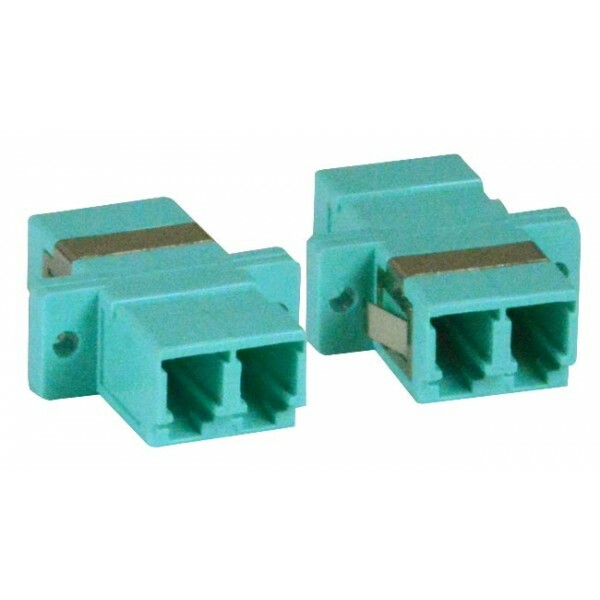 Rated OM3 for 10 Gbps transmission.